The US Supreme Court has put a temporary hold on the three-judge ruling issued back in August that the NC General Assembly had to draw new districts for the NC House and Senate and hold special elections this year for those redrawn seats because of unconstitutional "racial gerrymandering." The Supremes will hold a closed-door judicial conference on January 19 on the Republican suit asking to overturn the three-judge ruling about the racial gerrymander, and they could agree with the Republicans that the federal judges overreached, or they could dismiss the Republican suit altogether and order the redistricting and the new elections to go forward. Which means the Twitter crowing of high-ranking Republicans in the General Assembly -- "No 2017 elections for #ncga. #SCOTUS halts flawed, partisan, lower court ruling” -- is a bit premature. What the gerrymanderers in the General Assembly may have forgotten is that the current 4-4 split on the Supreme Court, which is not going to be altered before January 19, would mean that the lower-court ruling will stand. 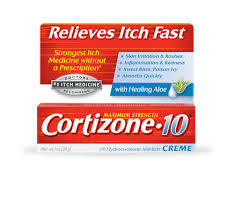 So we're not going to put Cortizone 10 on our itch to vote again in 2017 just yet.